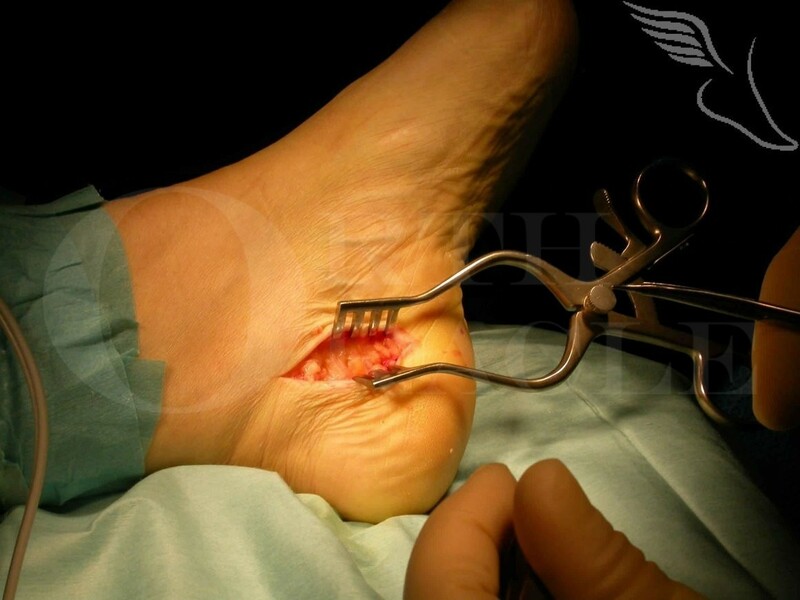 Learn the Plantar fascia release surgical technique with step by step instructions on OrthOracle. Our e-learning platform contains high resolution images and a certified CME of the Plantar fascia release surgical procedure. The vast majority of patients do not require operative treatment for this condition. For those with the severest and most resistant of symptoms however it is indicated and improves symptoms in 80-90% of patients. The operations poor reputation is ill founded if the technique and post-operative management are carefully adhered to. The key factors are to avoid damaging the cutaneous nerves during the approach, adequate release of the fascial layers encountered and careful haemostasis. Appropriate post-operative pain management splintage ,shoewear advice and wound care are also critical.